Sell a House Fast In the West Sacramento Area or Northern CA. Trying To Sell House Fast West Sacramento? If you want to sell house fast West Sacramento and surrounding areas… we’re ready to give you a fair all-cash offer. Stop the frustration of your unwanted property. Let us buy your West Sacramento house now, regardless of condition. If you no longer want to own a house in West Sacramento, you can sell it to us and end the hassle and stress. 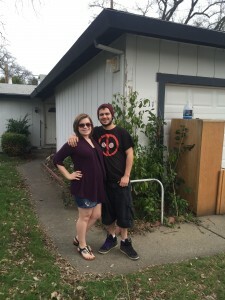 Whether you’re downsizing or an agent hasn’t been able to sell it, or you’re going through divorce, or it’s in foreclosure; even if there are bad tenants or fire damage — we want to buy your West Sacramento house fast. We are professional home buyers and we buy in any condition. We have the funds available right now to buy your house fast, even in as little as 7 days. Find out what we’ll pay you for your house right away: we’d like to make you a fair cash offer and close on it when you’re ready to sell. Do You Need To Sell Your House in West Sacramento? Even if an agent can’t sell your house, we can help. Sometimes selling a house through a real estate agent is not for everyone… That’s okay. Selling to us means: you don’t have to pay up-front to fix up your house, you don’t have to wait months while a buyer is found, and there are no commissions or fees to pay. Just tell us about the house and we’ll know very quickly if we can help you. We’re ready to buy right now! We are NewLook Realty Company and we work differently than what you might be familiar with: we don’t list houses, we actually buy them. When you contact us and submit the short property information form (below), we’ll give you a fair all-cash offer on your house within 24 hours. It doesn’t matter why you need to sell or what condition your house is in… and it doesn’t even matter what timeframe you need to sell your West Sacramento house in… we can help. We specialize in helping homeowners with unwanted property. Fill out the form below, let us make you an offer — we want to buy your house from you right away and pay you a fair price for your house fast. At NewLook Realty Company, we’re focused on helping homeowners just like you in every situation — from probate to foreclosure to divorce to bad tenants… you name it, we’ve probably helped someone in that situation. 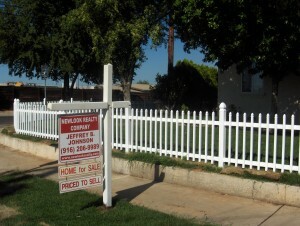 We buy houses in West Sacramento and in surrounding areas (in ANY condition) and we pay a fair cash price, fast. … then sell your West Sacramento house fast for cash… to us! Fill out the form above or call us today at 916-943-4161. Sell My House Fast West Sacramento!